Village maps are eternally useful – they seem to be the standard for beginning adventures, providing a place of refuge, commerce, and intrigue without overloading the players with thousands of NPCs to interact with. The Village of Kith is exactly that kind of village. A small collection of homes built up along a road that in turn was built along a dry stream bed – which of course means that in exceptionally wet years, the town has to deal with flooding along the roadway pushing the townfolk up onto the higher ground on each side. The main point of the town is the central court where the town well is dug beside a massive oak tree with the local public house behind it. Besides the inn and the general goods store, there is little to set the town apart from most other farming communities across the land – perhaps the local blacksmith is a bit more steadfast than most, and the carpenter might hide a few secrets among his excellent woodwork… But really, a village is a village, right? This village is one of four maps I put together for the first adventure release from Grey Fey. 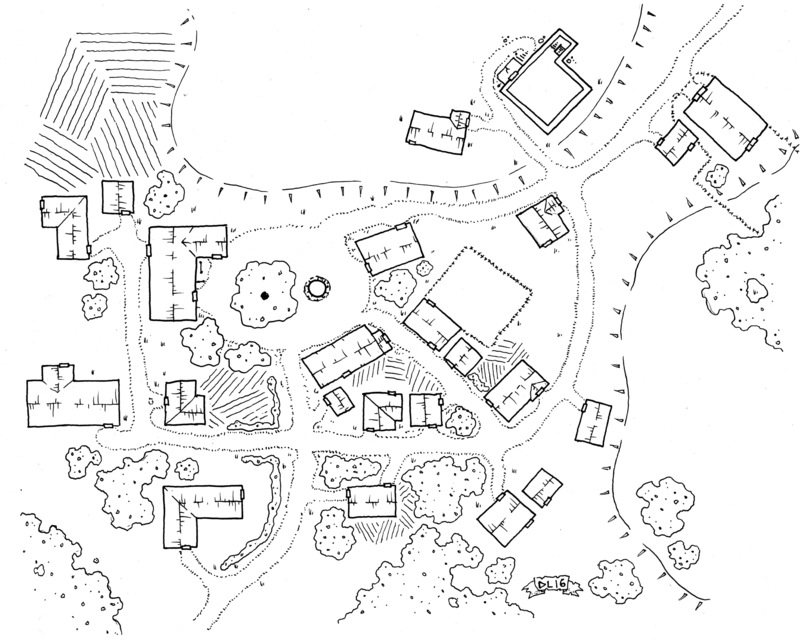 In the module – “Adventure Most Fowl” – the village is detailed along with the various characters that live there and the current troubles that they are going through. It is available now at RPGnow. A: How recently has the GM been left alone with lots of time to think?